I am done creating my unit! In case you missed it you can see what I have done so far here. This is definitely one of the more challenging projects I have done in university and it really pushed me to step outside of my comfort zone. I learned many new things throughout this experience the main one being the importance of planning for online lessons. I was also in ECS 300 this semester and a lot of that course was based around lesson planning, but for some reason I did not carry over the knowledge I learned in that class to my online unit for ECMP 455. I found that a lot of the time when I would go to create assignments or lessons for this unit I would just be searching for content on Google. I would then be frustrated when Google did not have exactly what I was looking for. I think that this is a common assumptions that teachers make when they are online. They assume that all of the content they need is already created, and although a lot of it might be, they could still be the creators themselves! Part of my reason for trying to find the content on Google was because I was nervous about creating my own lesson. When I finally took the leap I started with creating a lesson on EduCreations and it failed miserably. Below are some screenshots from the final video but I would never post it as an actual lecture that I expect my students to learn from. 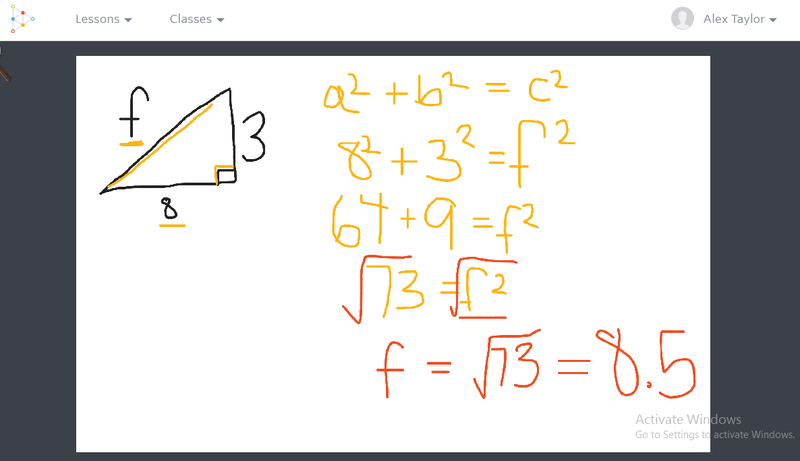 One of the things about EduCreations that I enjoyed was the simplicity of it and it is also free to make an account. It was very easy to use and the directions were easy to follow however, because it only had drawing and recording tools the triangles I drew and my writing were quite messy. As you can see my writing is still messy, but I liked the fact that I had the actual shape of the right-angle as opposed to drawing my own triangle. If I were to redo this unit online I would do a few things differently. First of all I would write a script for every lecture that I created myself. I did not use a script for this video and when I re-watch it I see that some parts could have gone smoother had I been more prepared with what I wanted to say. I would also make sure I had a very good idea of the curriculum. Although I did look at the curriculum for this unit and read all of the outcomes and indicators I do not think I had a true understanding of how to help students meet those indicators. This will hopefully come with time and more experience working hands on with curriculum. Lastly, I would take more time to practice with tools I want to use in my unit. I should have spent a couple of hours on Explain Everything watching the tutorials and playing around with the different tools, but instead I just jumped right into it and started creating my online unit. 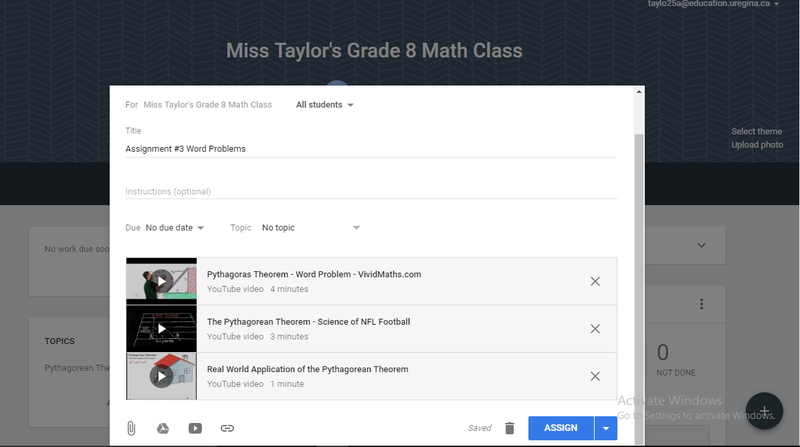 I also could have spent more time learning more about all of the functions that Google Classroom offers. 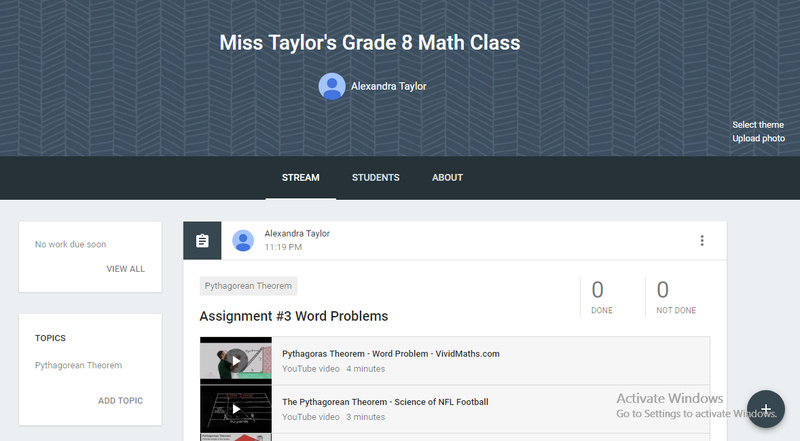 I used Google Classroom to post the assignments for students but my use of it did not go further than that. (I also did not have real students utilizing it so that is part of the reason). Altogether I am happy that I chose to create an online unit for my major class. The skills I learned while doing this are transferable to everything in education and not strictly for technology. I look forward to trying out more new things in the future and also improving my video taking/editing skills for higher quality lessons. I look forward to having my real students to learn from and learn with as the world and technology evolves even more. This entry was posted in ECMP 455, Online Unit and tagged ECMP455, EdTech, Online Learning by alexjtaylor16. Bookmark the permalink.